I'd just gathered a tray of freshly made dumplings and some long noodles to cook some recipes for Chinese New Year when I spotted these old guys. 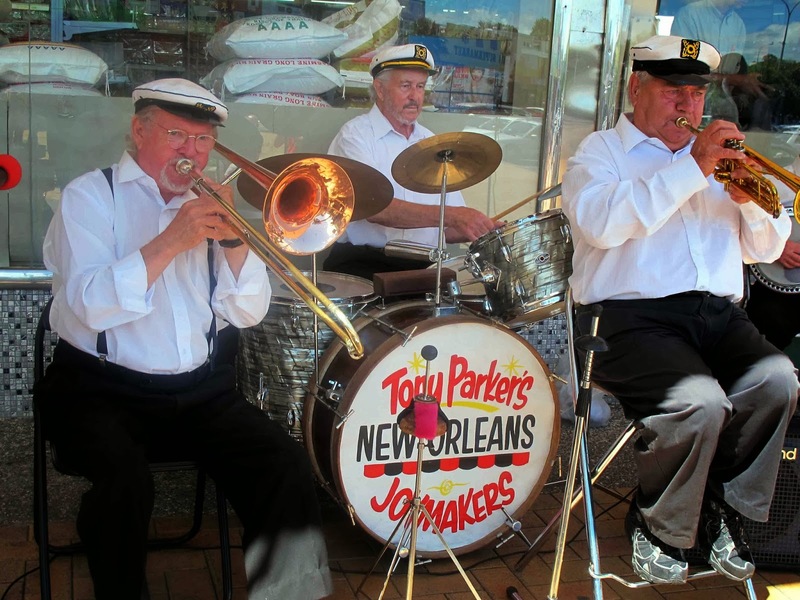 They were playing jazz in the Northcote Shopping Centre in front of one of the big Asian supermarkets. On the pavement in front of them some young people had started to dance.It reminded me of the spontaneous tango music and dancing we saw in the streets of Buenos Aires which made it so much fun to be out and about. There should be more music on our streets!